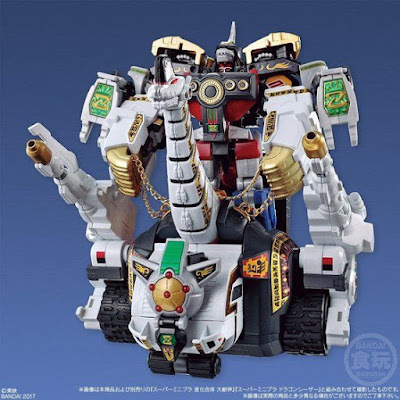 The official Premium Bandai site has opened the pre-order for the Super Minipla King Brachion as well as posted the official images for this newest plamo masterpiece that would make hobbyist's mouth water with excitement! 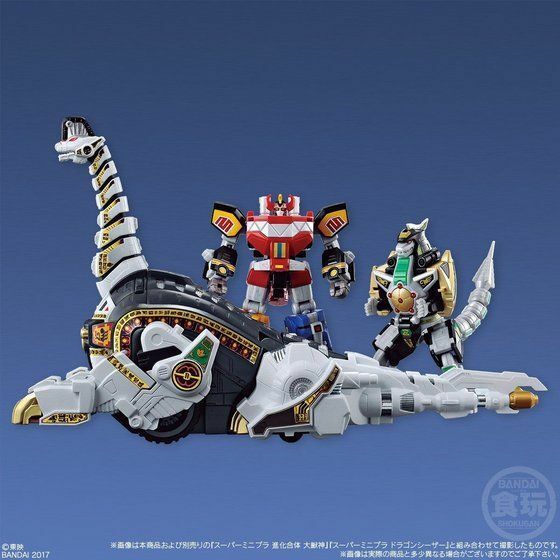 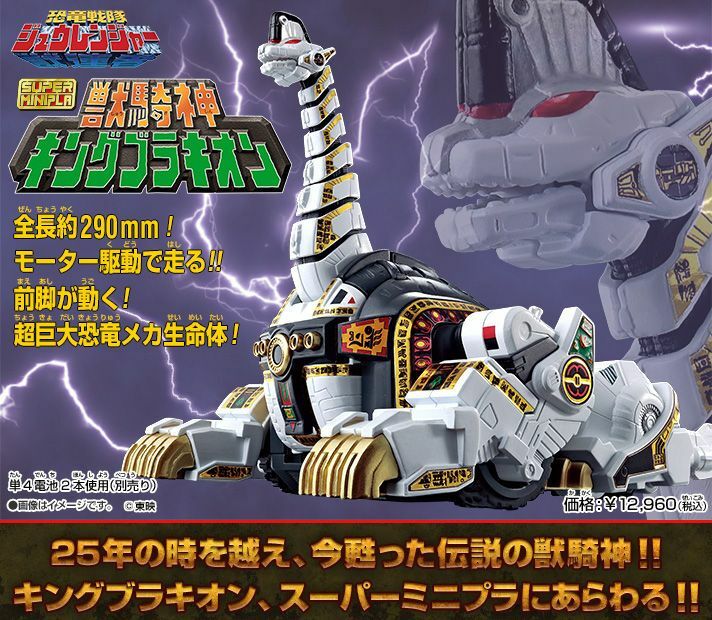 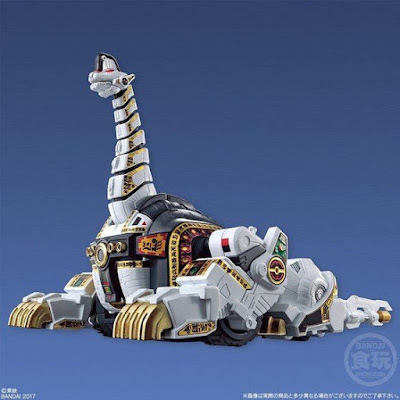 As seen in Kyoryu Sentai Zyuranger and Saban's Mighty Morphin' Power Rangers as Titanus The Carrier Zord, this plastic model measures 290mm in length and is highly detailed and that's not all, it also has a motorized gimmick that is powered by 2 AA batteries! 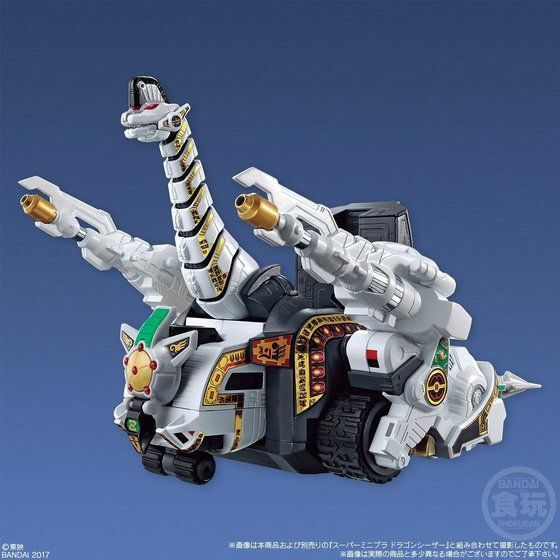 Also, it can transform into the carrier mode and can also combine with the Super Minipla Daizyujin and Dragon Caesar to form the Ultimate Daizyujin! 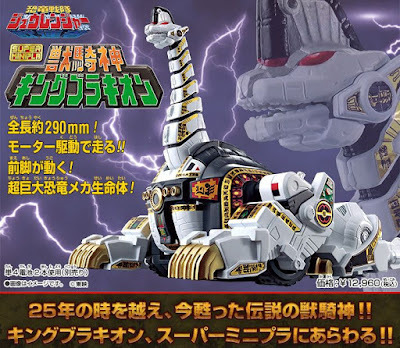 The Super Minipla King Brachion is scheduled to be released on February 2018 for the price of 12,960 yen. Pre-order yours now by visiting our friendly advertisers!